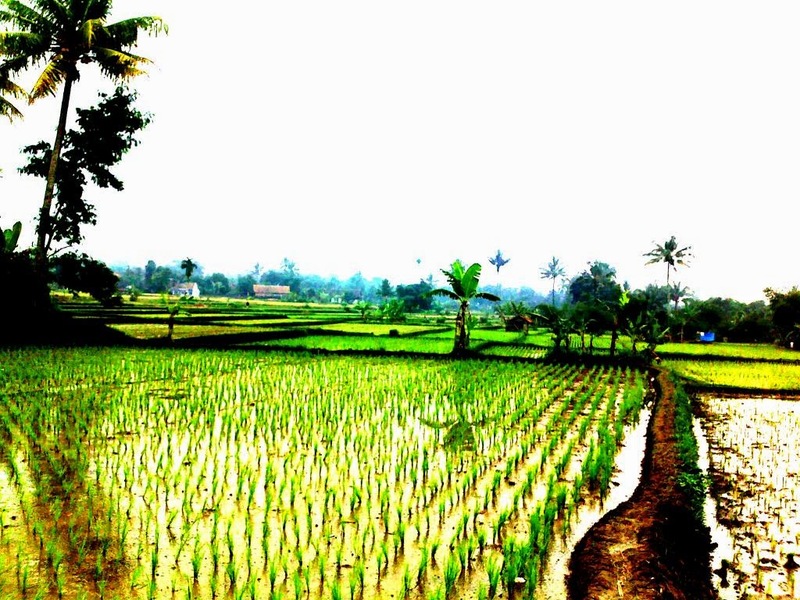 This picture of paddy field was taken at Sukaresmi road, Cisaat, Sukabumi, West Java Indonesia. Global Positioning System coordinates -6.9004,106.902 , facing to east. Famous tourist attraction nearby are Situgunung and Selabintana at the base of Mount Gede Pangrango. You can enjoy many services and facilities such as: hotel, conference room, restaurant, swimming pool, outdoor activities, tea walk, flying fox, etcetera. Photo sawah ini diambil di jalan Sukaresmi, Cisaat, Sukabumi, Jawa Barat Indonesia. Global Positioning System koordinat -6.9004,106.902, menghadap ke timur.